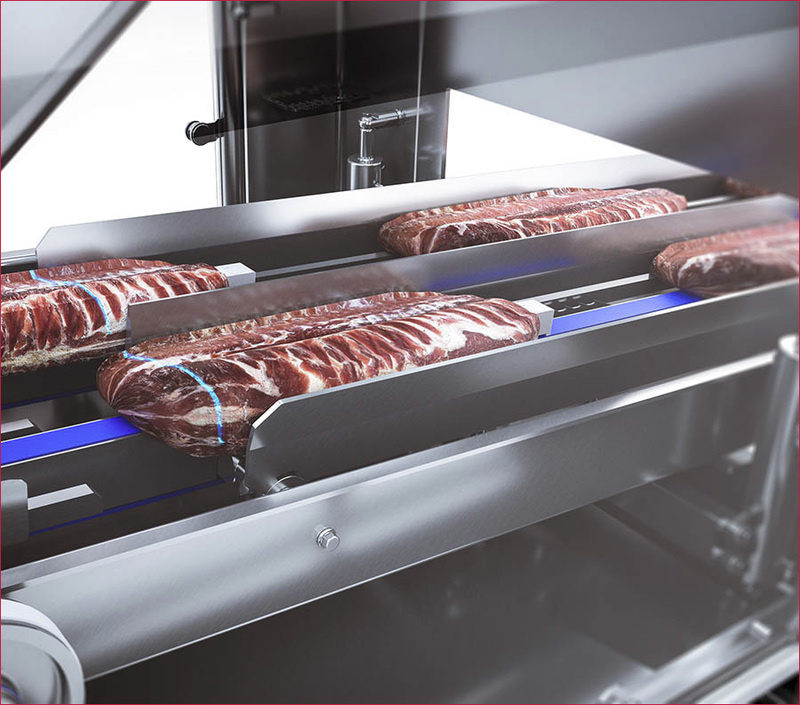 The TEXTOR Involute Blade Slicer TS750 is a dedicated high speed slicer for short products such as bacon, gammon steaks or cured ham – simply SMART & EASY. Different to other slicers, the TS750 feeds the products with a positve drive flighted indexing system to the blade. And as always at TEXTOR, this is done in a simple and compact setup. The TS750 is available in various configurations. From a very simple configuration to handle high capacity bulk applications up to high performance applications including vision based product scanning and a true twin lane product feed. 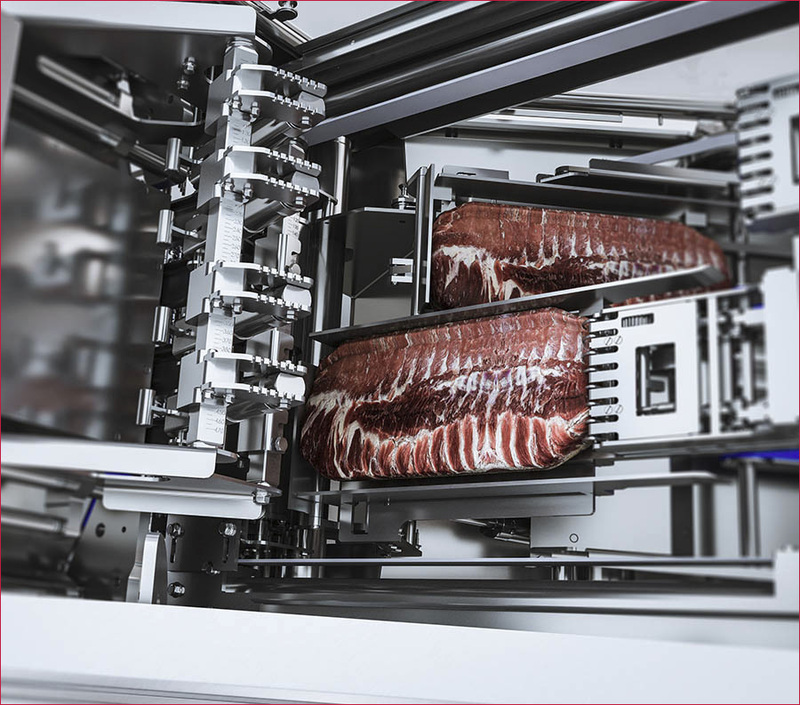 The whole infeed and slicing line can optionally be executed with two independent product and portion feed systems. In this execution, feeding, weighing, scanning and product reload is totally independent for both feed lanes. This allows to reload each lane, as soon as the related product is sliced up to the fi nal slice. This unique feature guarantees shorter reload sequences and higher capacities than with any other twin lane slicer setup.. 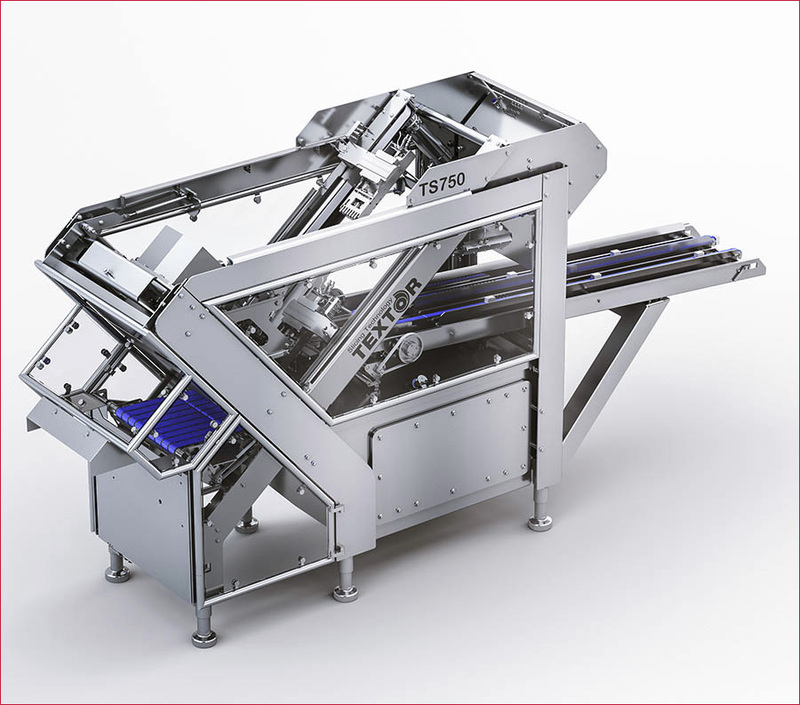 Different to other slicers, the TS750 feeds the products actively by means of a fl ighted indexing system to the blade. The positive drive system feeds the products safely and reliable, independent of product consistency. Slippage or inconsistent feeding is avoided. 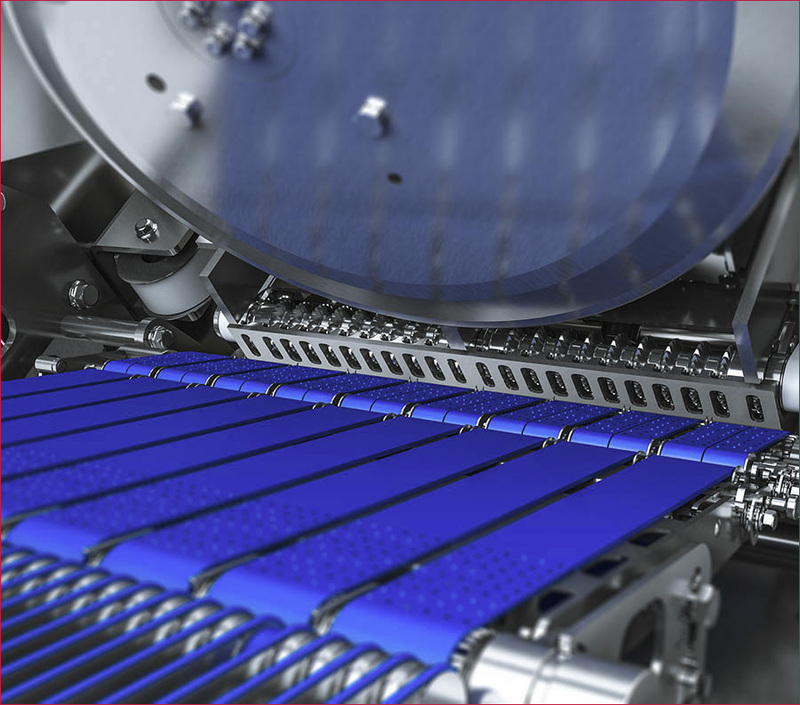 A capacity of up to 6 reloads/min – up to 12 products/min in a twin lane setup – can be guaranteed. As an option the flighted indexing system can be equipped with an integrated product scanner. The products are weighed in a weighing station which is part of the system as well as an optical laser scanner to determine the product shape. This guarantees the best yields and lowest give away, without the floor space requirements of an external scanner.